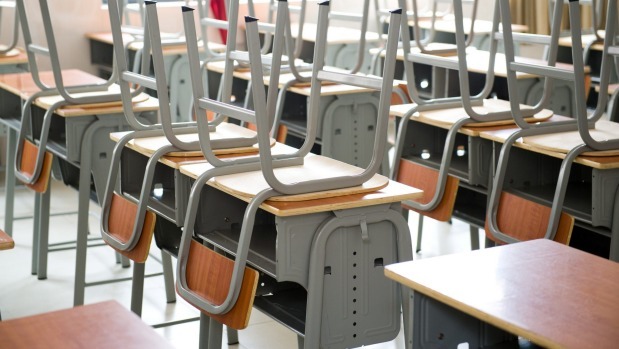 A small town teacher has been censured but can continue teaching after repeatedly falsifying information about his students’ results. Duncan John Gittins committed “serious misconduct” when he falsified moderation documents for 10 NCEA physical education assessments at Akaroa Area School in Canterbury in 2015, a teachers’ disciplinary tribunal judgement released on Thursday said. Teachers must have another specialist teacher in their subject moderate their marking before it is accepted by the New Zealand Qualifications Authority (NZQA). Gittins, a qualified teacher in the UK, moved to Akaroa with his Kiwi wife in 2013 and took up a two-year appointment at the school. After unsuccessfully seeking a permanent role he was “upset and simply wanted to get his paperwork done and leave,” the judgement said. The tribunal heard a teacher at another school offered to verify Gittins’ grading marking but he said he had someone else doing it for him. Concerns were raised when external NZQA moderators said they weren’t confident in the accuracy of a sample of Gittins’ marking. He had already left the school by the time principal Raymond Bygate contacted the other teacher and confirmed the forgery. Though Gittins was remorseful, the tribunal felt he did not appreciate the “enormity of his actions”. “Although his manner at the hearing was not arrogant, the respondent’s conduct was certainly self-centred … he made no mention of the students,” the judgement read. During the hearing Gittins accepted he had “broken trust” but said he had “a lot more to offer”. He will keep his teaching certificate with a condition to inform any prospective employers of his censure. Attempts to contact Gittins were unsuccessful.